Human skin undergoes many changes over years. From being supple and youthful to degenerating over time, you see it all. And if you are contemplating on how to get rid of loose skin, then your answer is right here – Anti Wrinkle Injection Treatment. Anti Wrinkle Injection smoothens out the glabellar or frown lines, leaving behind younger looking skin. Wrinkles in the skin are typically formed perpendicular to a contracting muscle located beneath it. When it is injected into muscles it blocks the nerve impulses to those tissues which results in reduced frown lines and a smoother look. This procedure takes about 2 to 4 days and the maximum effect usually occurs within two weeks. As the injection hurts a bit, the area is numbed using anesthetic cream or cold pack before the treatment begins. What all is Anti Wrinkle Injection used for? Can anyone use Anti Wrinkle Injection? Is on medication, supplements, etc. Consult a reputed dermatologist or skin tightening treatments clinic like MedLinks in Delhi before you undergo the Anti Wrinkle Injection treatment. 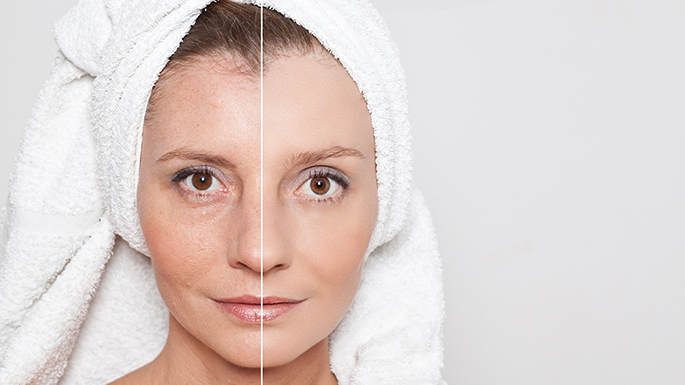 How long does the Anti Wrinkle Injection effect stays on the skin? How often has the patient taken facials, microdermabrasion, exfoliations, etc. Make sure you stay in touch with your doctor to avoid any serious problem.